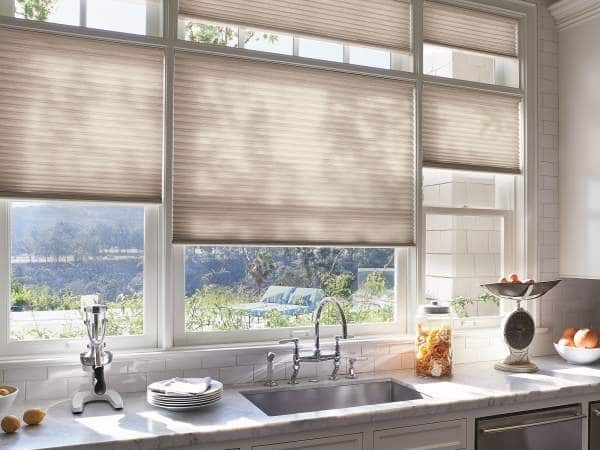 Honeycomb shades were invented by Hunter Douglas in 1985 and offer the industry’s highest energy efficient rating. 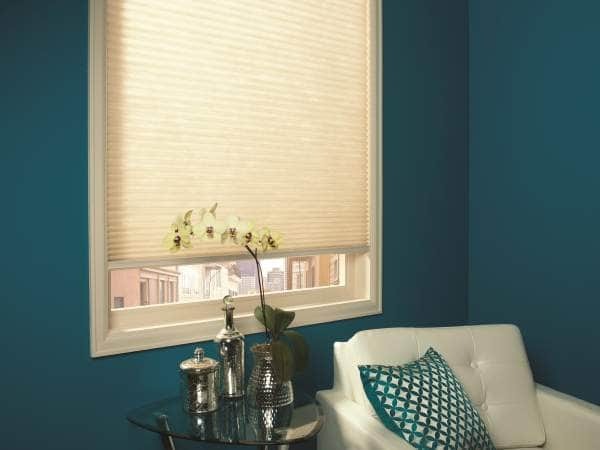 While the basics have remained the same, honeycomb shades are now offered in a variety of pleat sizes and a wide range of fabric types, colors and shapes. Other companies have created similar products, but at Victor Shade we prefer to stick with the original. 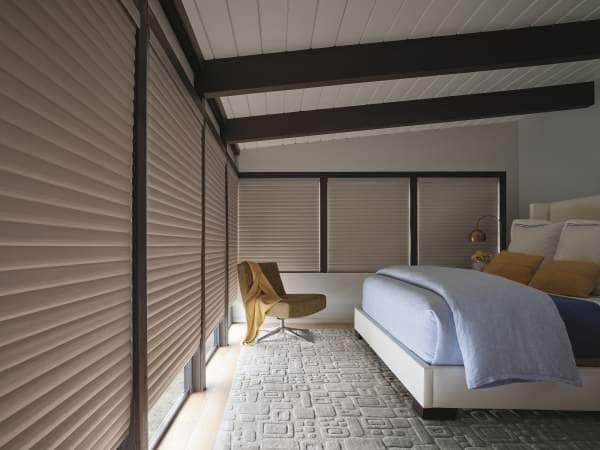 Hunter Douglas Duette® Architella® Honeycomb shades are the most popular of our honeycomb products. 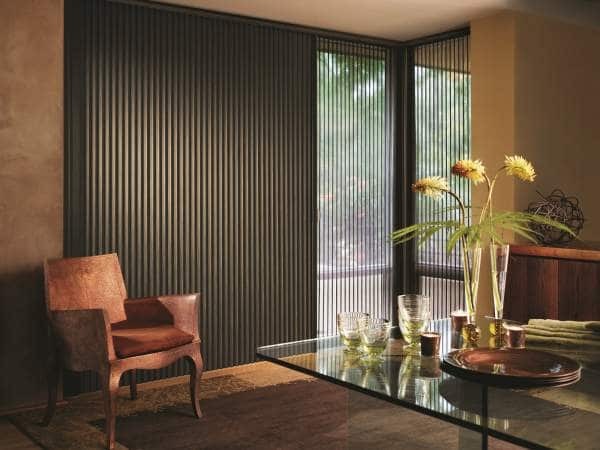 Available in a wide range of colors and textures, they offer a patented honeycomb within a honeycomb cell design that creates three insulating air pockets, which provide the highest energy efficiency of any Hunter Douglas product. In addition, the lifting systems available in this product offer the finest in operating ease and enhanced child safety. The Solera® Soft Shade combines the soft folds of a classic Roman shade with a unique cellular construction that provides a dramatic look. The cellular construction offers increased energy efficiency and the internal lift cords allow for enhanced child safety and a clean, tailored look from the outside. 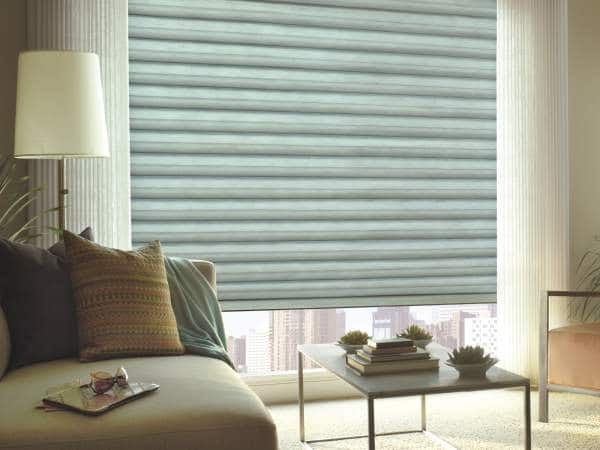 If you are looking for something different when it comes to vertical blinds and want to save energy in the process, these “honeycomb within a honeycomb” shades are the choice for you. 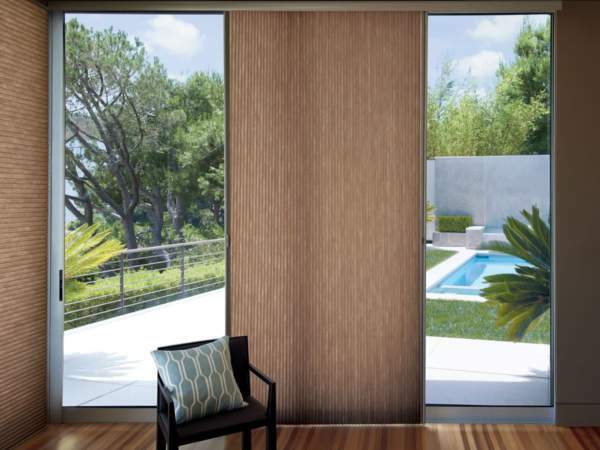 Two shades in one, the Applause® Duolite® Honeycomb Shades offer an opaque or semi-opaque shade paired with a sheer shade for a beautiful, functional option when you want privacy and diffused light coming into your home. 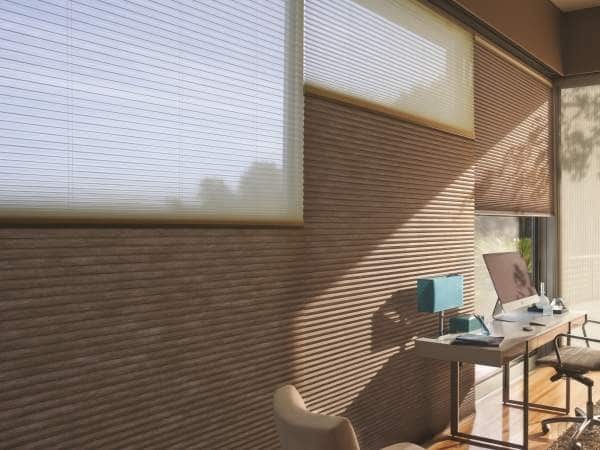 The Applause® Honeycomb Shade is a good option when looking for a more cost-efficient option while still maintaining the quality of a Hunter Douglas product. Like the traditional Duette® honeycomb shade, the Applause® shade provides energy efficiency by trapping a layer of air within it- keeping winter cold and summer heat outdoors and not in your home. In addition, the cords run through the honeycomb, presenting no visible cords, holes, or seams. The Applause® shade offers the SimpleLift™ easy cordless lift system at no additional charge. Applause® VertiglideTM Shades offer a vertical complement to the Applause® horizontal shade. It is offered in the ¾” pleat size and a streamlined selection of fabrics and colors.